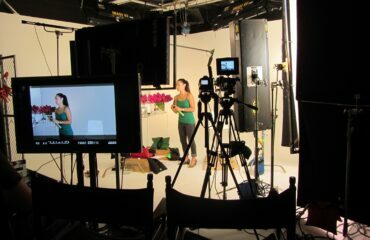 As a center for content Production, Los Angeles has many resources for shooting green screen video. Green screen backgrounds are used for digital productions including visual effects and compositing (the process of digitally matching a subject with a background). Depending on the production quality and budget of a project, green screen technology can actually be produced rather inexpensively with the availability of special paints and portable backgrounds. However, in order to produce content of a higher level, a professional studio that understands the technology and has a turn-key system should be considered. A professional green screen studio will have an extensive grid for hanging lights and preferably be “pre-lit” which means the green screen part of the production area is already properly lit. This way your team can focus on lighting the subject matter rather than spending time lighting the green screen. Another important consideration is the quality of the green screen itself. 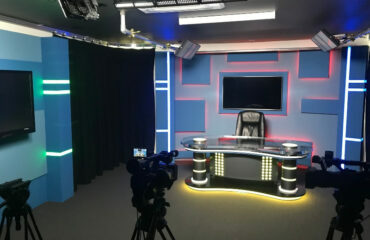 A professional studio will have the shooting area painted and free of marks. Re-painting is common and therefore I recommend that Producers budget for paintwork. Decide how you want to manage your green screen shoot in Los Angeles and then use one of these options to make that project a success. Coming Up: lighting a perfect green screen project.